This Revision Workbook delivers hassle-free question practice, covering one topic per page and avoiding lengthy set up time. Build your confidence with guided practice questions, before moving onto unguided questions and practice tests. 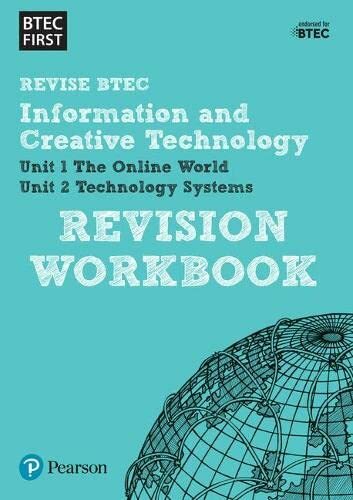 With one-to-one page correspondence between the Workbook and the Revision Guide, this hugely popular Revision series offers the best value available for BTEC learners. Covers both externally assessed Units for 2012 BTEC First in Information and Creative Technology (Units 1 and 2).